With his crazy summer schedule of tournaments and clinics, Phil had to temporarily close the diner’s door this month. But as the old saying goes, another door opened (actually, it was a computer window), and in came “Terra” (more accurately, her e-mail arrived). Terra, who earned her nickname by her love of organic gardening, is a relatively new ATA’er and a self-proclaimed foodie who devours Phil’s TRAP & FIELD column every month. In fact, she reads her issues of the ATA’s official magazine from cover to cover, which is why she chose the 2016 Michigan State Shoot as her first major tournament. Terra was impressed with the number of positive reviews of the MTA homegrounds in various interviews. Terra went on to explain that while she was being classified, she overheard that T&F’s infamous contributor, Will O. Tarmigan, had been spotted in the camping area. “I’ve always wanted to meet him, so I strolled over there,” she wrote. 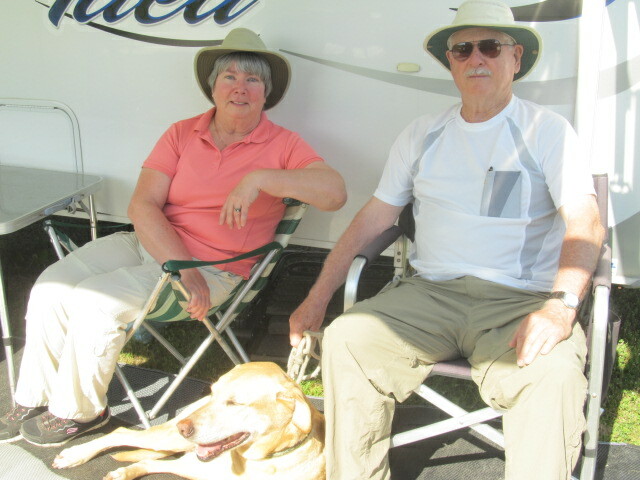 Terra never did find him, but she did find two Canadian ATA’ers, Ron Alton and Sheila O’Reilly from Richards Landing in northern Ontario, who invited her to sit a spell at their trailer and enjoy the feast they had just prepared for their shooting friends and campground neighbors. Ron joined the ATA in 1973, and after Sheila became the love of his life, he brought her into the sport and then into the ATA in 2004. They have competed at numerous clubs in Canada and the U.S., but the MTA homegrounds is their favorite. They have high praise for how well the tournaments and the facility are managed. They’ve also enjoyed their share of victories there, most recently Sheila’s Lady II handicap title at the 2016 Great Lakes Grand American. At the same tournament three years earlier, Ron captured his category’s top trophy in the Remington Nitro 27 Handicap by blasting a 98, which remains his best back-fence score. Shuck the corn. Mix ingredients together in a small dish. Brush generously on corn and place on a hot grill. Rotate a quarter-turn every minute or two until you’ve made a full turn, brushing on more oil at each turn. Continue until lightly charred on all sides, approximately 10 to 12 minutes. Same as for grilled corn on the cob (above), but grill time is only 5 to 7 minutes. Pour oil from the smoked oysters onto a small plate. Put the mushrooms on this plate—this will later keep them from sticking to the grill—and place a couple of oysters in each mushroom. Top with the grated cheese and grill for 6 to 8 minutes or until cheese melts and begins to bubble around the edges. 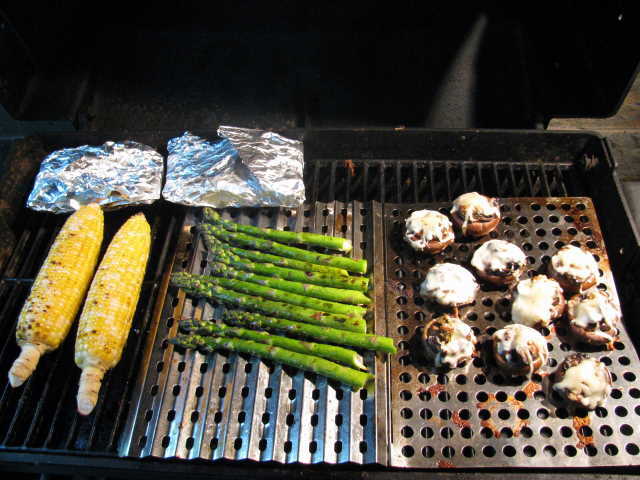 (Grilling any longer will make the mushrooms too soft and hard to handle.) These ’shrooms are so popular, Sheila often triples the recipe. Butter the center area of four pieces of tinfoil and place one piece of fish in the center of each. Whisk the syrup, mustard and soy sauce together and spoon some over each piece of fish. Wrap the foil securely around the fish, then wrap a second piece of foil around each pocket (in other words, you’ll be double-wrapping). Place on a hot grill for approximately 12 minutes, turning once. If your fish is more than 1 inch thick, add a couple of minutes on the grill . . . but don’t overcook! Serves four. Thanks to Terra for writing to TRAP & FIELD about her first fabulous ATA feast, and thanks to Ron and Sheila for sharing their recipes.